Over the past decade, nations bordering on the Arctic have found themselves with a big new security problem. The melting of the Arctic ice has opened up shipping lanes and opportunities for the exploitation for undersea resources, but has also exposed vulnerabilities for countries that have long considered their northern frontier secure. It’s not surprising that Russia has prepared its military for Arctic operations better than any other country. During the Cold War, the Soviet Union prepared to fight across the Arctic, both in the air and at sea. Many of the weapons and much of the expertise from that era have remained, leaving the Kremlin with a lethal set of capabilities. Here are five systems we can expect Russia to use in order to defend its interests in the Arctic Ocean, in case the unthinkable ever occurred. The single most important vessel for access to the Arctic is the icebreaker, and Russia retains the most extensive fleet of icebreakers anywhere in the world. Warming does not eliminate Arctic ice, but instead makes the movement of ice more fluid and less predictable. As access to the Arctic improves, and as the commercial interest in exploiting the region increases, the movement of ice and increased frequency of military and civilian use will make icebreakers more necessary than ever. Both civilian and military ships will require the support of icebreakers in order to proceed with their regular tasks, and for the foreseeable future, Russia is best equipped to serve as the guarantor of global access to the Arctic. Under the auspices of its civilian nuclear-power agency, Russia operates four nuclear-powered, ocean-going icebreakers—ships that have sufficient power and range to support military expeditions across the Arctic. Russia also has a wide array of conventionally powered icebreakers at its disposal. By contrast, the United States has access only to a trio of U.S. Coast Guard icebreakers, as well as to a handful of Canadian Coast Guard vessels. Icebreakers guarantee Russian military access to the Arctic with a certainty that no other country enjoys. This gives Russia great freedom in planning its military and resource access strategy in the polar region. Sometimes the best way to manage ice is to avoid it altogether. The American, British and Soviet navies tangled extensively under the Arctic Ocean during the Cold War, as boomers and attack subs tracked one another. Russian submariners have extensive experience operating in the Arctic, and an extensive support structure in old Soviet bases along the ocean’s rim. While newer boars are coming online, the Akula is a monster of a boat that can carry a vast arsenal of weapons. 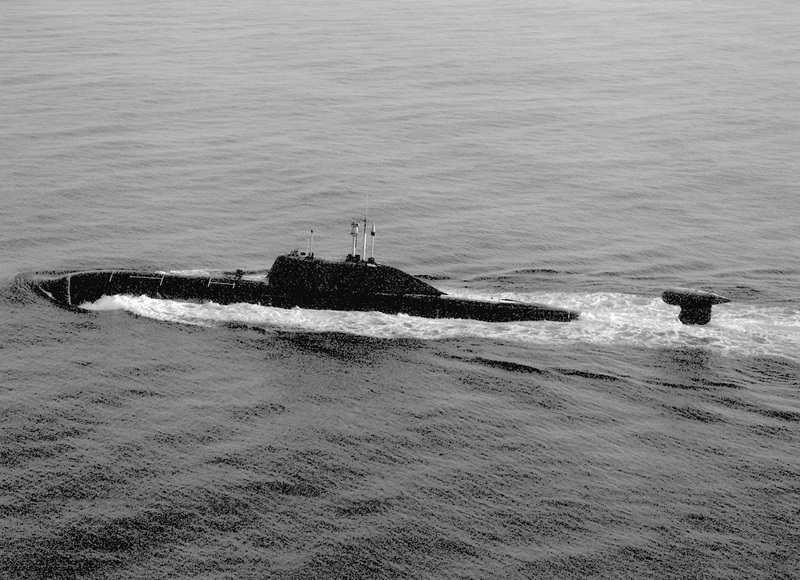 Although built in the 1980s, the Akula can operate effectively in anti-submarine roles—either under the ice or under open seas—and in anti-shipping roles, where a reduction in surface ice can make cruise missiles somewhat more effective. The Akula isn’t quite as quiet as its Western counterparts, but it makes up for that deficiency in size and weapons load. The Russian Northern Fleet, normally tasked with Arctic ops, currently maintains six Akulas, which regularly operate under the icepack. Even as the sea ice clears, conditions in the Arctic will make it difficult to conduct carrier operations, increasing the importance of land-based aircraft. Operating from bases along the rim of the Arctic, the MiG-31 Foxhound—a fast, long-legged interceptor developed from the MiG-25 Foxbat, can cover a lot of space. The MiG-31 and its predecessor were designed to hunt and kill American bombers as they attempted to penetrate Soviet air defenses. Although the MiG-25 performed only adequately when pressed into an air-to-air combat role, the Foxhound has better radars and superior maneuverability, making it a more effective air-superiority platform. To be sure, the Foxhound would struggle in a tangle against the most advanced generation-4.5 and generation-5 fighters the United States has to offer, but given the lack of bases, they may not be around to fight. The Foxhound can make mach 2.83 at altitude, with a combat radius of about 900 miles. 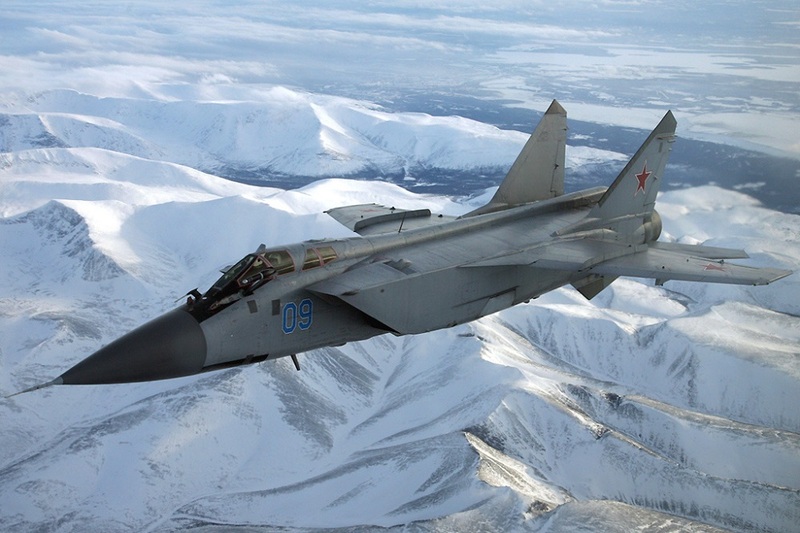 Russia operates around 200 MiG-31s between the Navy and the Air Force, and has taken steps to revive and improve the infrastructure to support its Arctic air bases. The Tu-95 Bear is one of the oldest combat aircraft still operational. Like the B-52, it flies in a strategic environment far from what its engineers intended in the 1950s. However, like the B-52 the Tu-95, has proven a very flexible airframe, and its variants have long operated in a maritime patrol configuration. The Tu-95—and its maritime variant, the Tu-142—are particularly at home in the cold, bleak skies of the Arctic, where land bases are distant and carrier operations are often impractical. 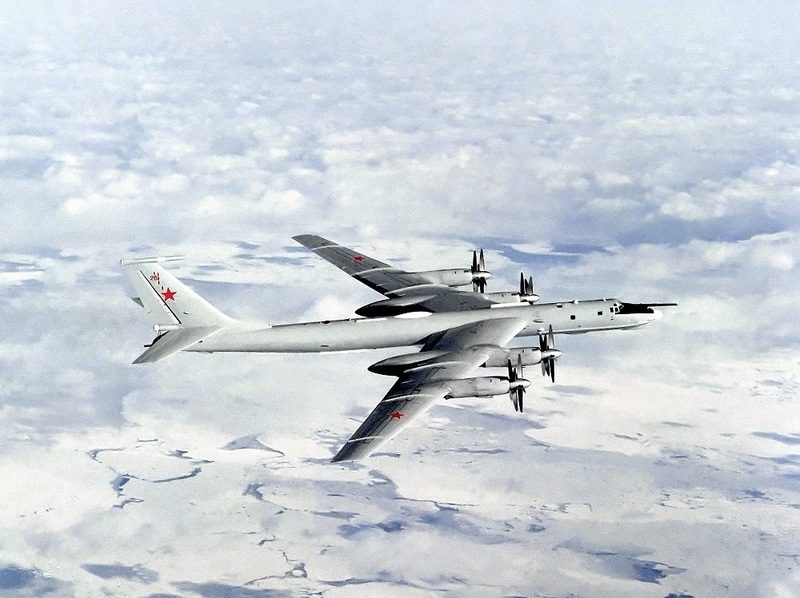 In its classic Tu-95 variant, the Bear can carry anti-ship and anti-surface cruise missiles. Its maritime patrol variant, the Tu-142, can conduct anti-submarine operations. With a combat radius upwards of 3000 miles, the Bear can operate well beyond the reach of land- and carrier-based fighters, which is fortunate, because the Bear can no longer run from enemy interceptors. As with the B-52, Russia expects the Bear to continue in service for several more decades, providing a proven sea-control option. The Arctic Ocean lacks large landmasses and significant population centers. The forbidding climate makes even the largest islands virtually uninhabitable. In these conditions, the military has little use for large infantry or armored formations. Instead, formations that emphasize mobility and lethality carry the day. 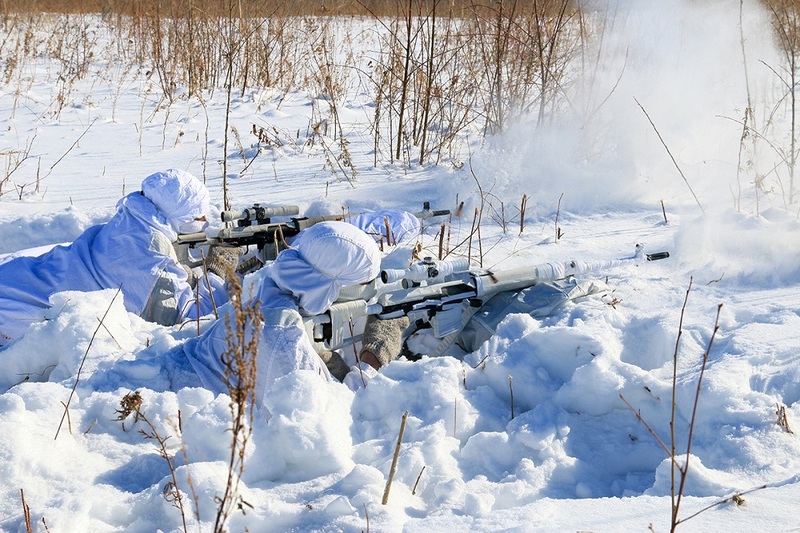 Russian special forces have long prepared for warfare in the Arctic. During the Cold War, Spetsnaz teams trained to attack NATO installations in Norway, the Faroes, Iceland and elsewhere. In recent years, Russia has stepped up training of special forces formations intended for deployment in the Arctic. Submarines, aircraft and surface ships can deliver these teams, which can take and hold inaccessible areas, conduct reconnaissance and disrupt communications. Special forces can also assist in search and rescue missions of civilian workers and teams in inaccessible regions. The legacy systems of the Cold War have left Russia well prepared for competition over the Arctic. Russia’s challenge will be to maintain these systems in service—the Bear and the Foxhound have grown long in the tooth, as have many of the icebreakers—and develop effective replacements. Russia’s current financial problems, associated with the collapse of oil prices and the sanctions imposed by the West, will make it difficult for the military to pursue an effective transformation strategy. However, if climate change continues as many models expect, the responsibilities and opportunities for the Russian military in the Arctic will only increase.